fallen in love with? Want to really show off a large scale print? 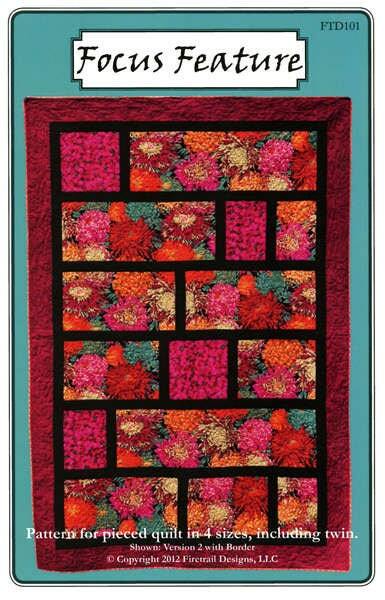 Try this simple, yet stunning, quilt that truly embraces the fabric. 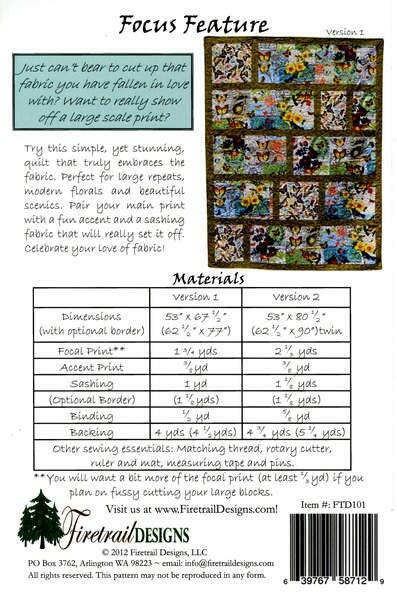 Perfect for large repeats, modern florals and beautiful scenics. that will really set it off. Finished Quilt Size options: 53"x 68" or 53"x80"
With Optional Border: 63"x77" or 63"x90"